Although the National Weather Service has been known to issue an inaccurate short range forecast (Hello, weather bureau? 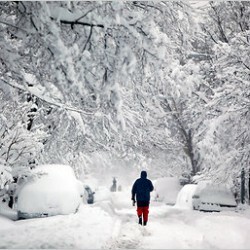 I just shoveled 6 inches of partly cloudy out of my driveway), there has been considerable improvement in forecasting since the advent of weather satellites and supercomputers.In the days before all this newfangled technology the only way to find out about severe storms at sea was to have a ship blunder into one, much to the chagrin of its crew. 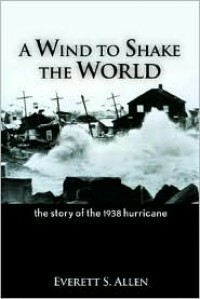 This book is about the 1938 hurricane, which is the only way to refer to it since names weren’t used back then, which struck Long Island and moved into New England causing loss of life along with incredible damage. A tremendous storm surge of water generated by the unusually fast speed of the hurricane combined with landfall at high tide struck unwarned coastal communities.The author interviewed eyewitnesses who had many harrowing stories to tell, like surviving by floating inland on a dislodged roof half a mile. Lives along with coastlines were irrevocably changed that day and this book documents both loss and survival.A very good read for those interested in weather or who would like to know more about the awesome forces of nature.